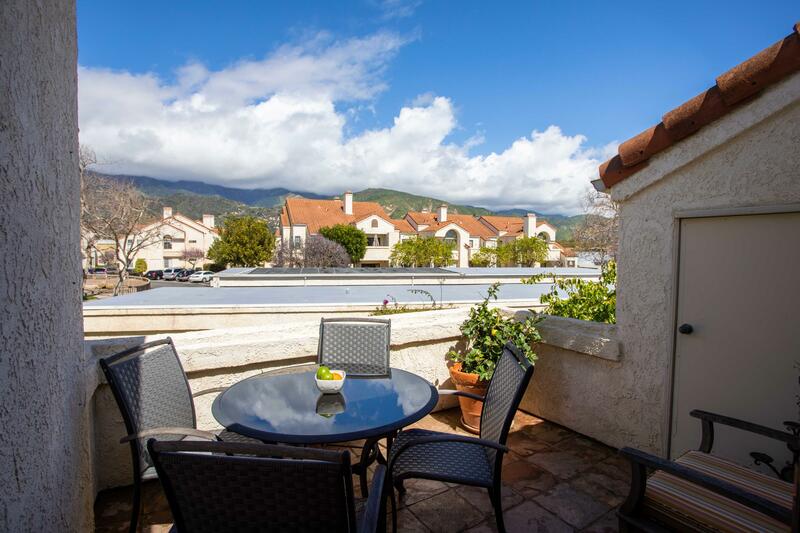 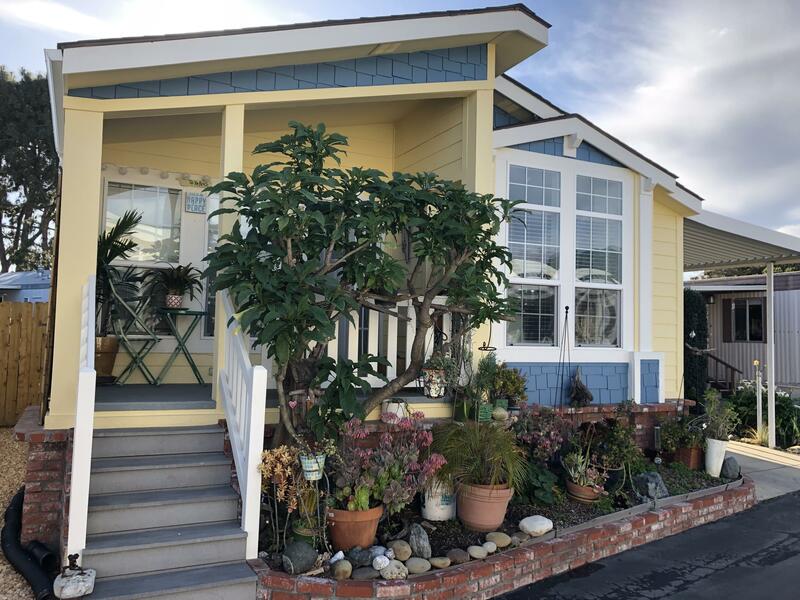 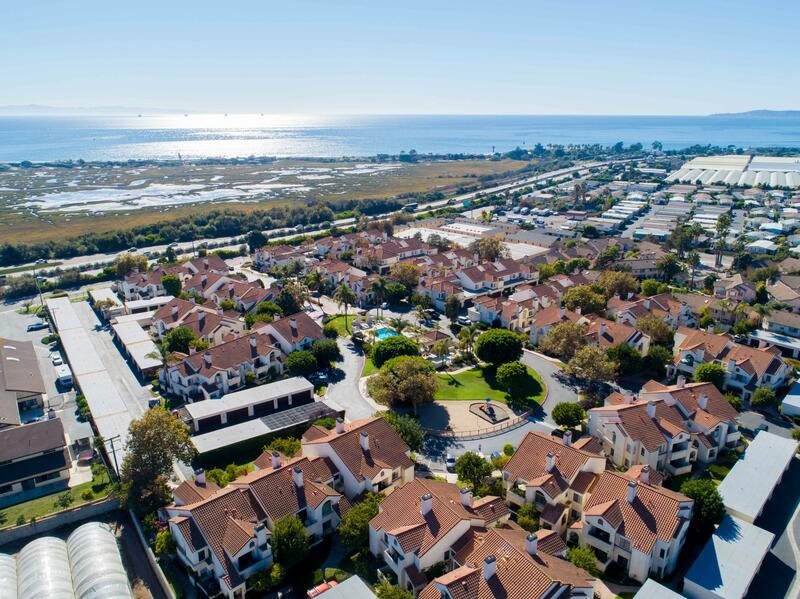 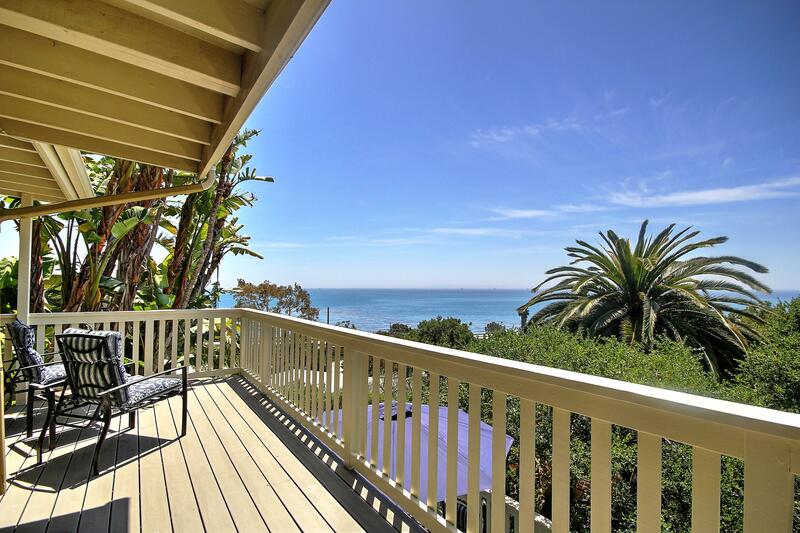 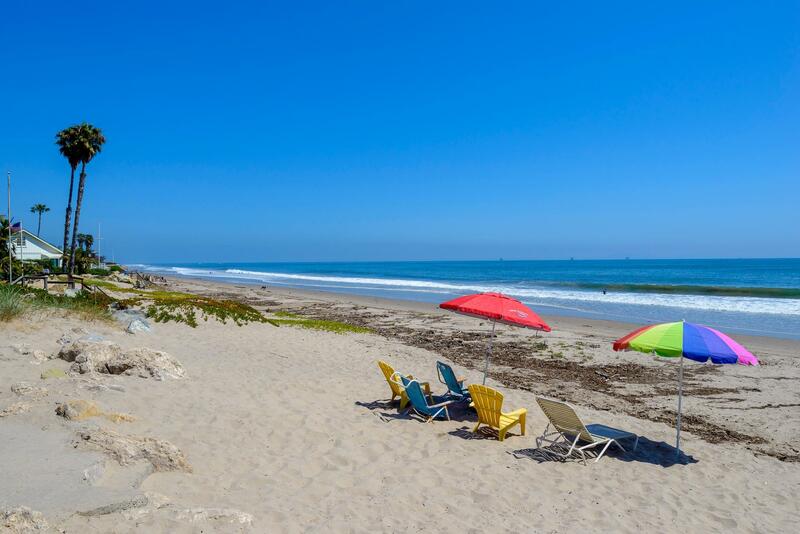 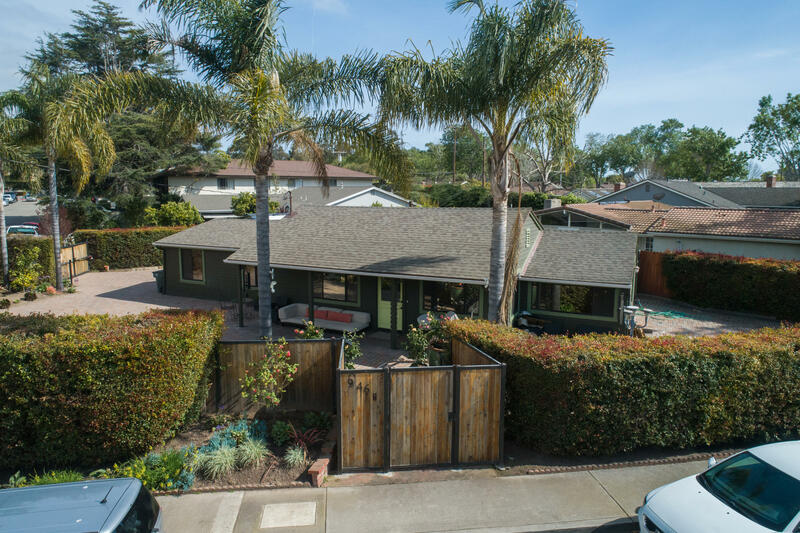 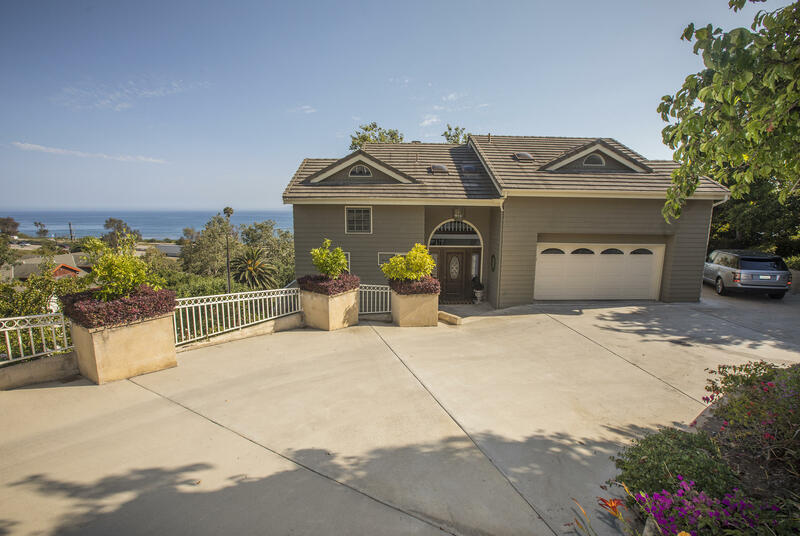 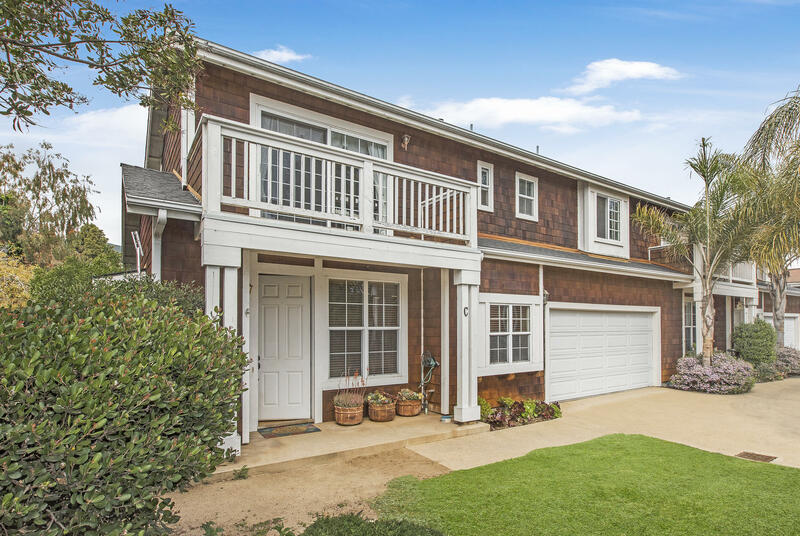 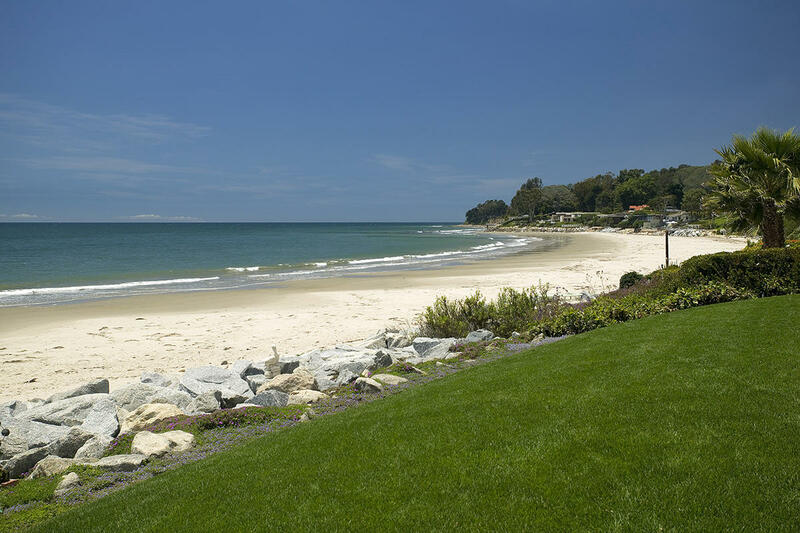 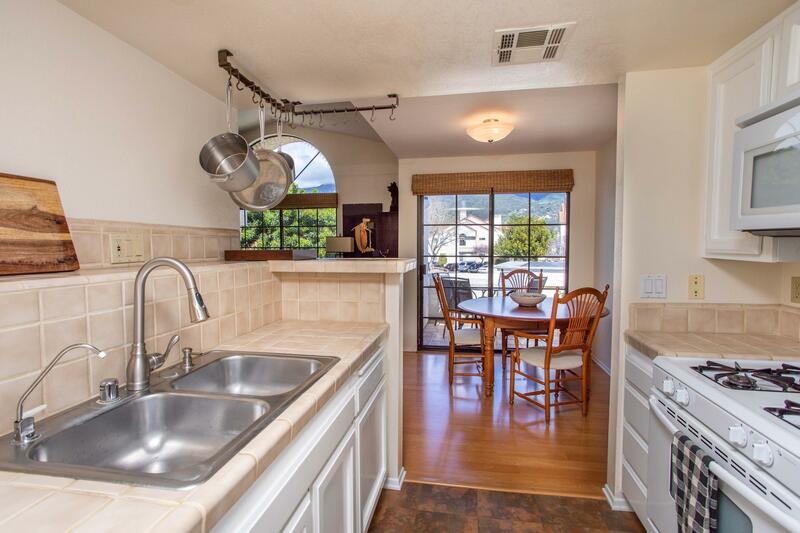 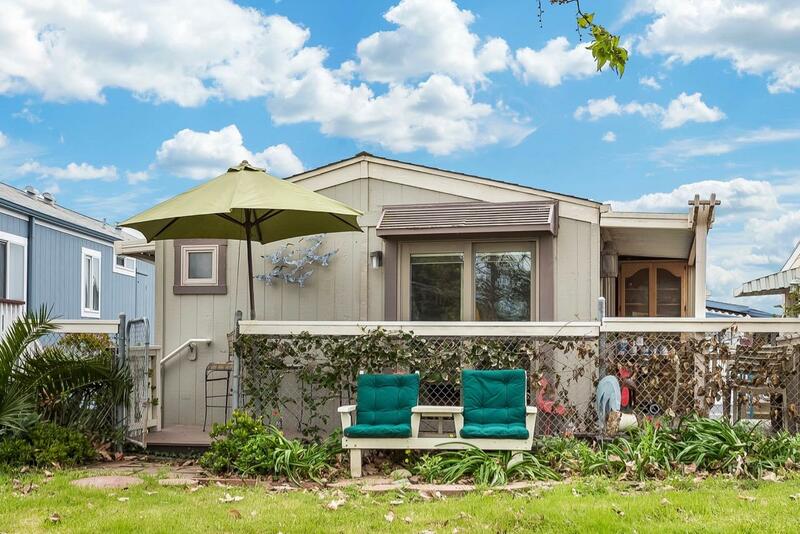 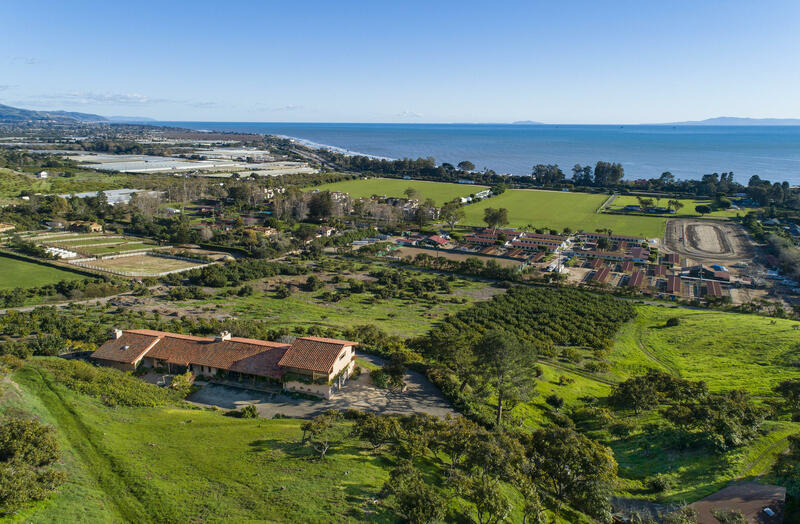 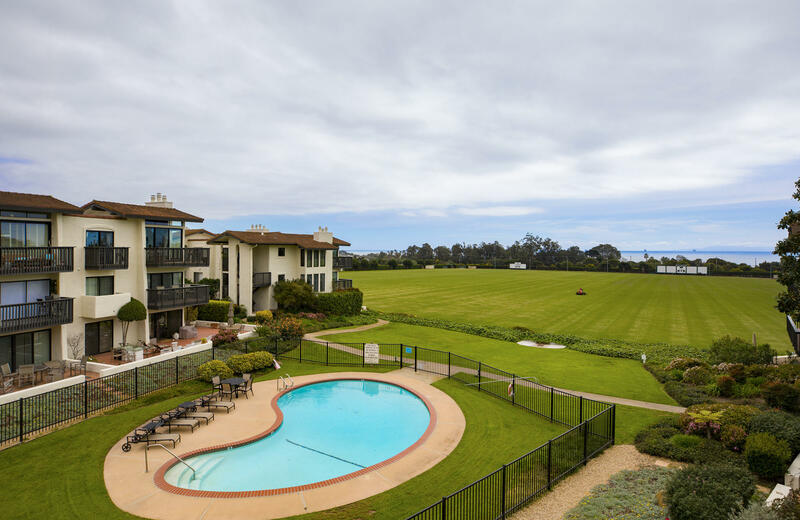 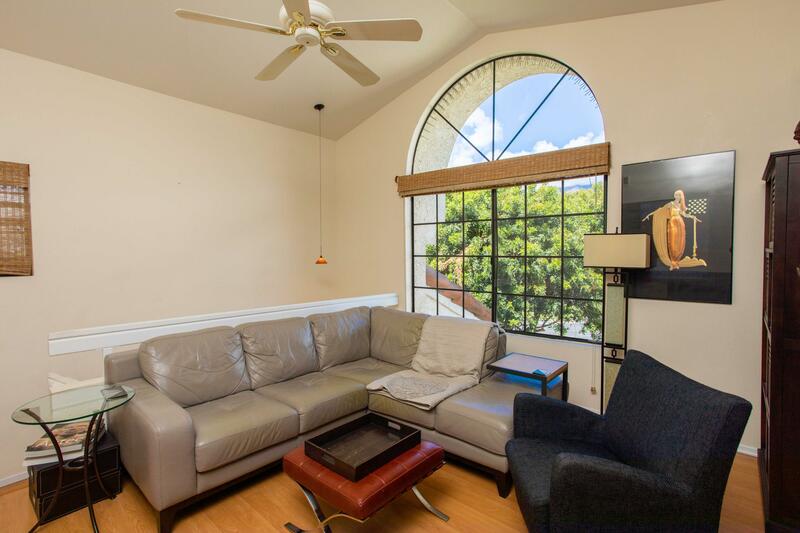 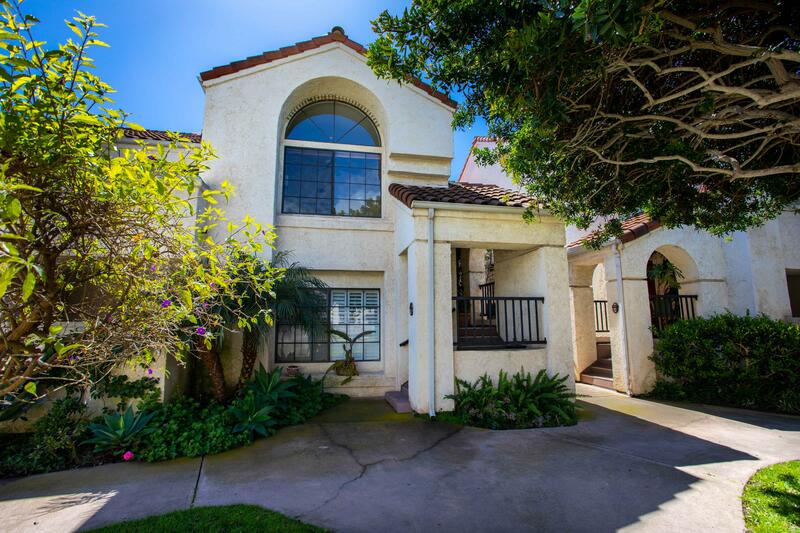 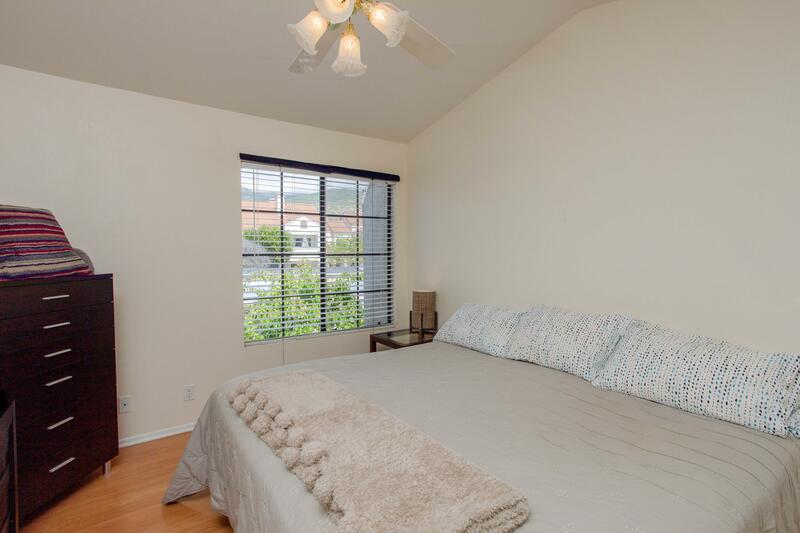 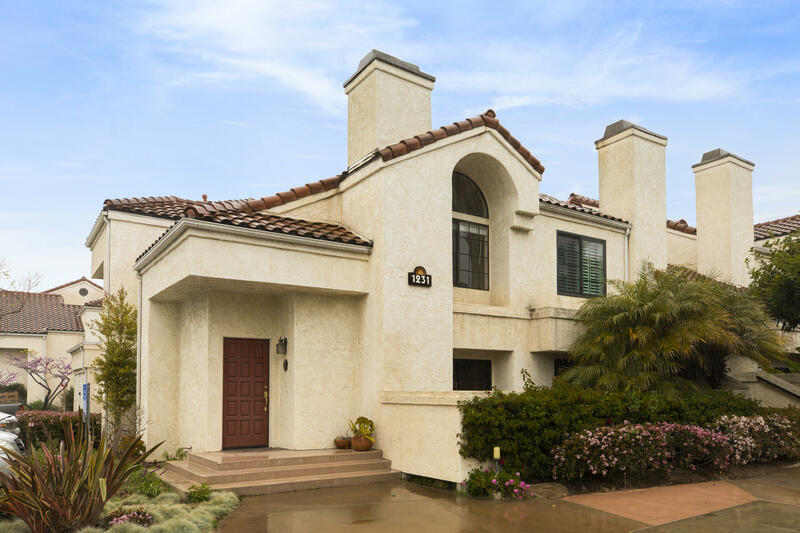 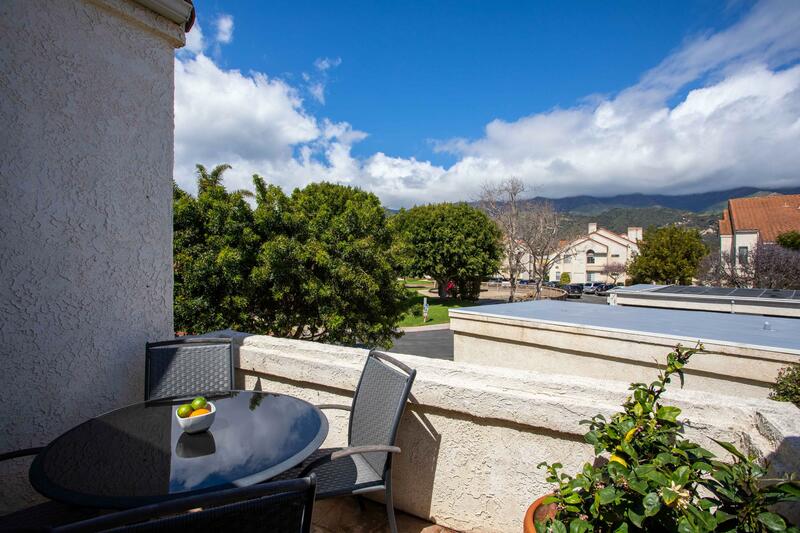 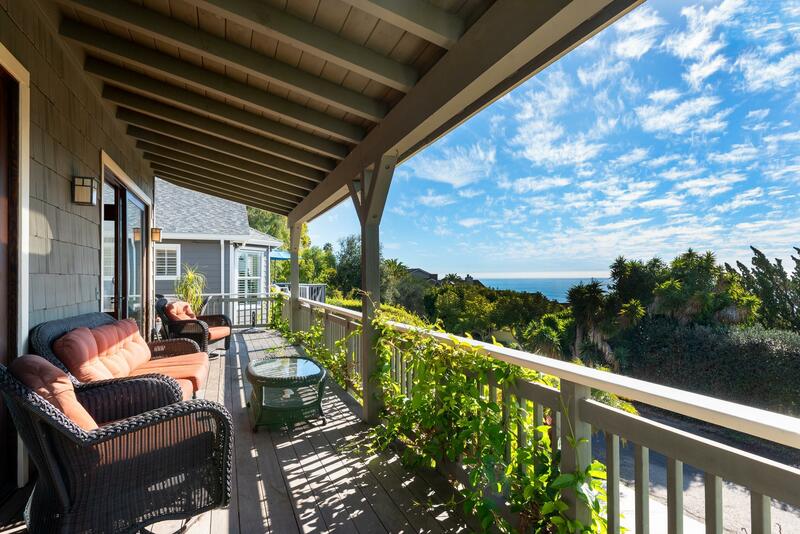 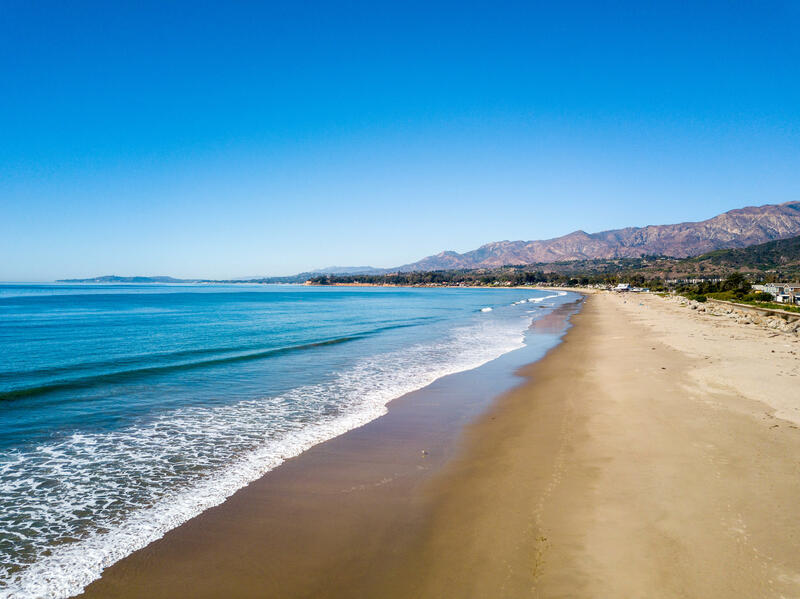 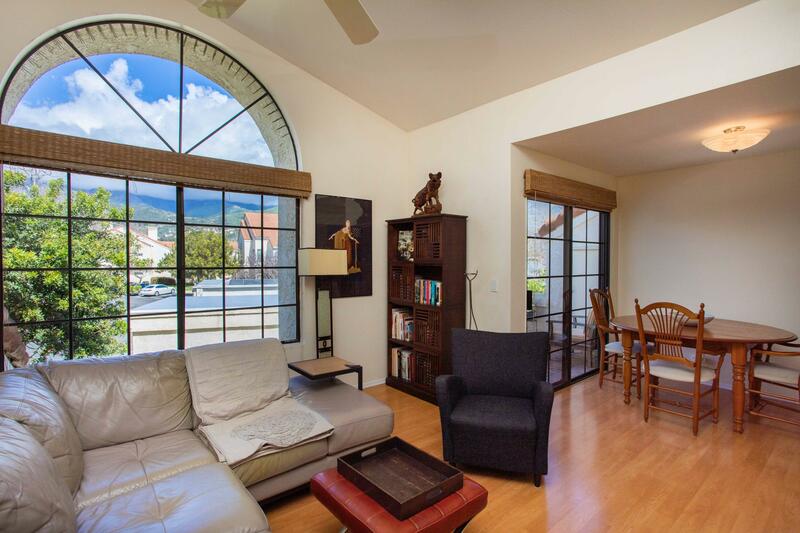 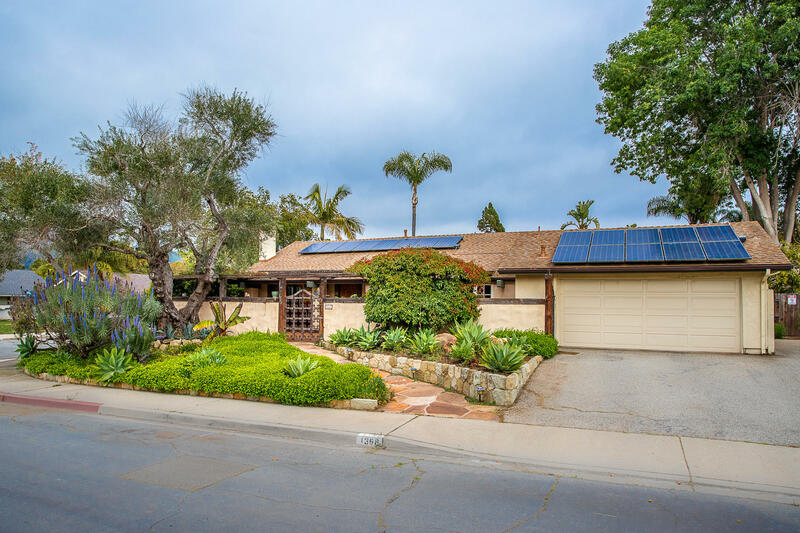 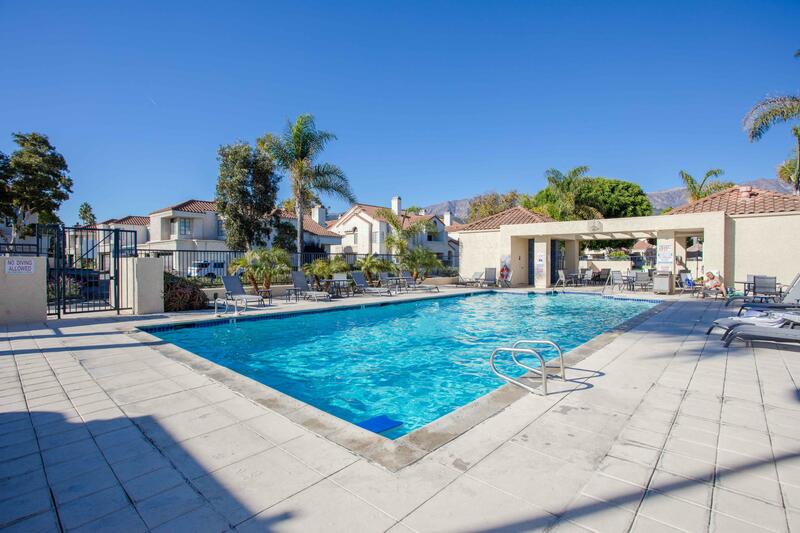 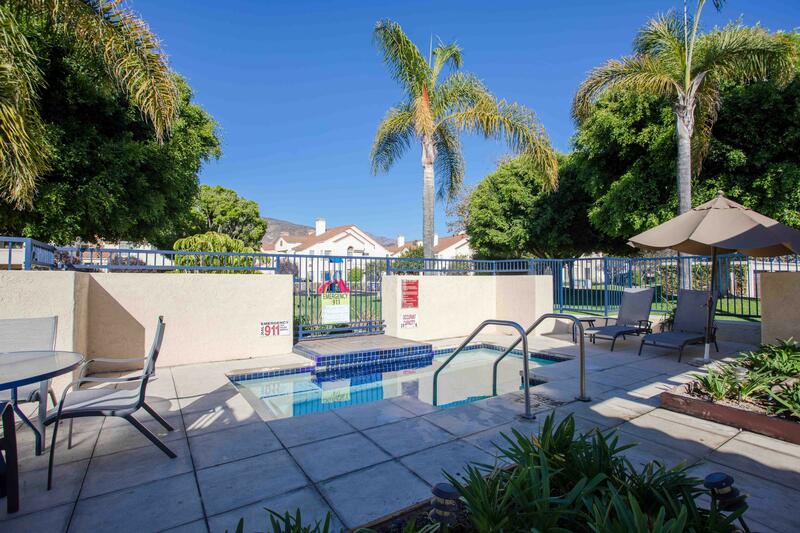 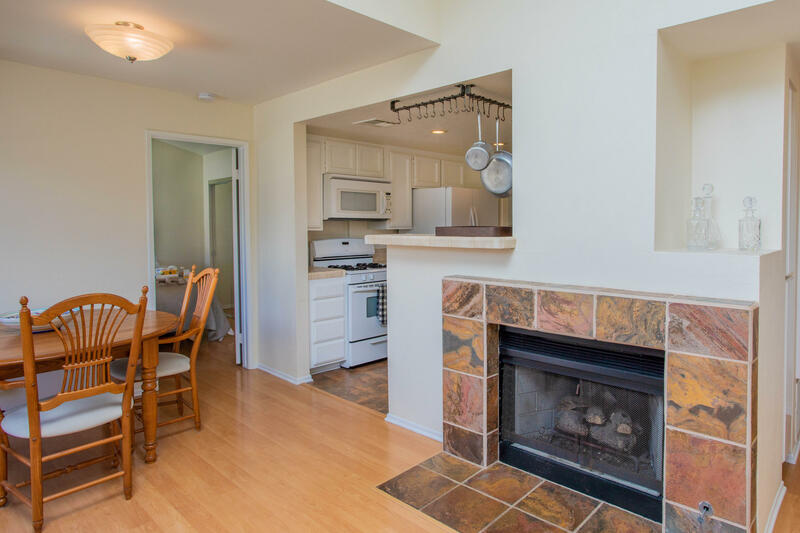 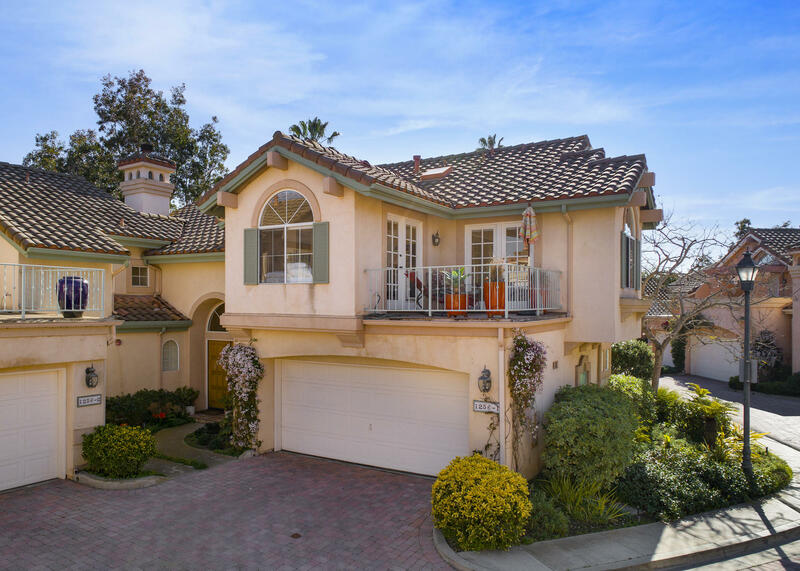 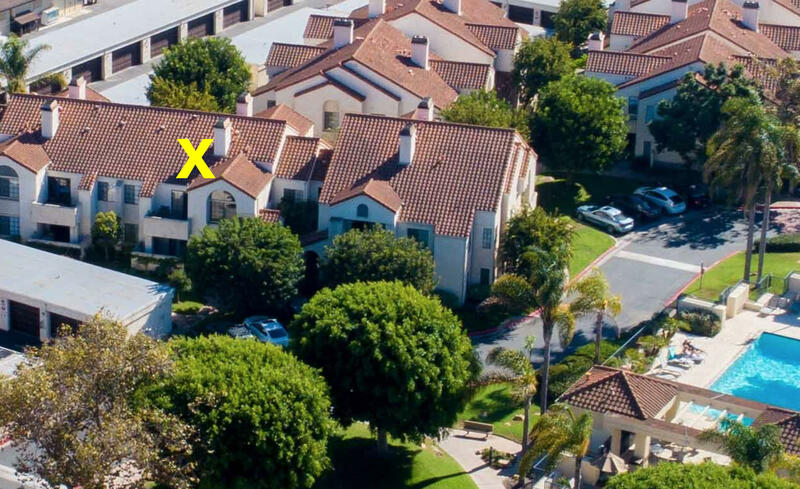 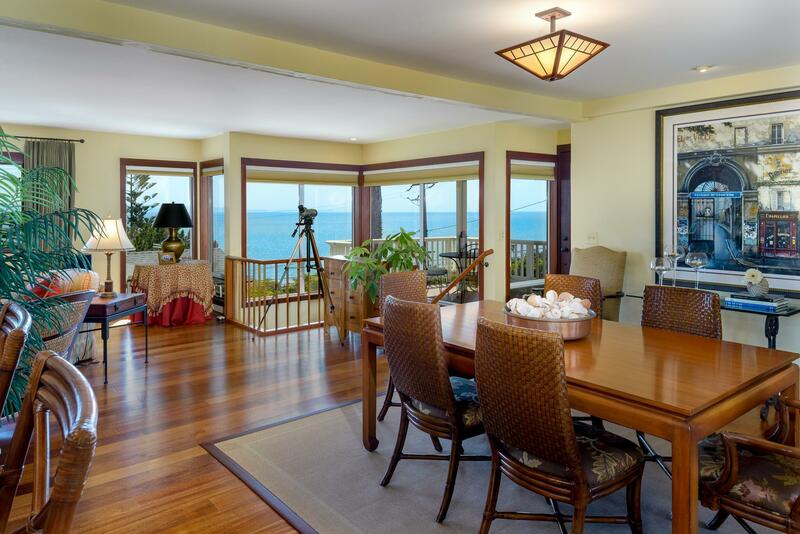 This light & bright top floor condominium offers bird's eye views of the beautiful green mountains behind Carpinteria. 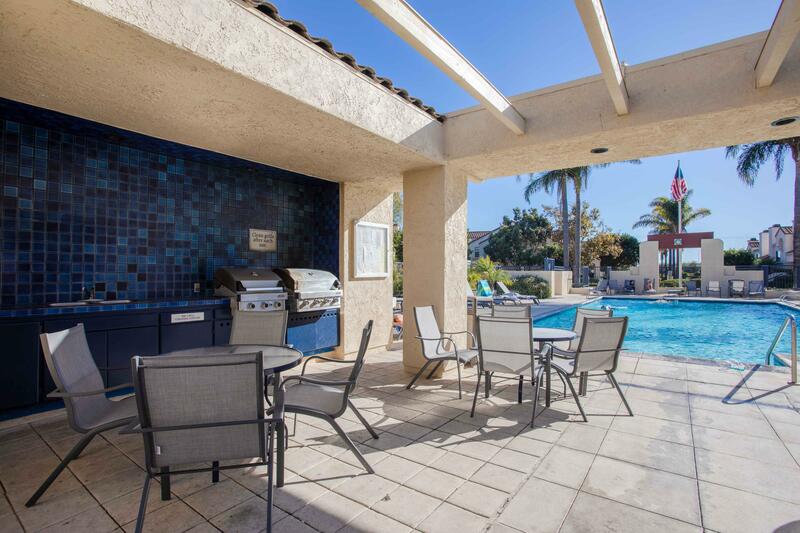 The deck, just off the living area, is a perfect place to relax or dine any time of the day. 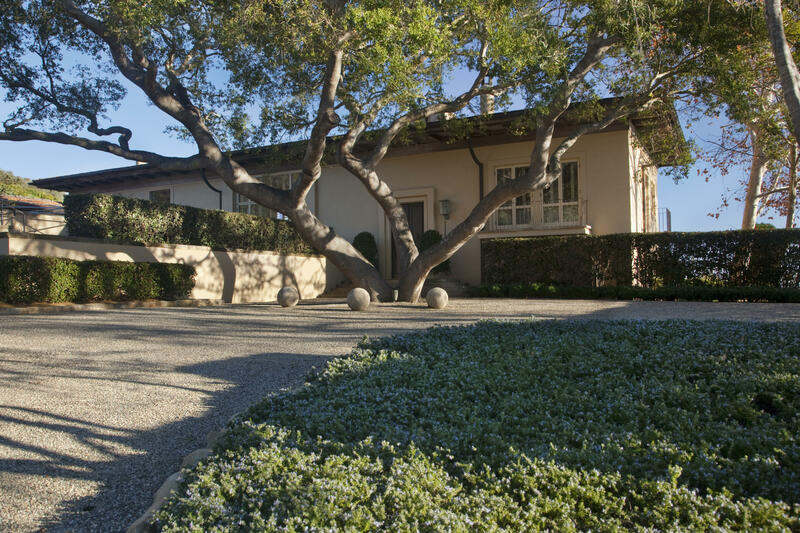 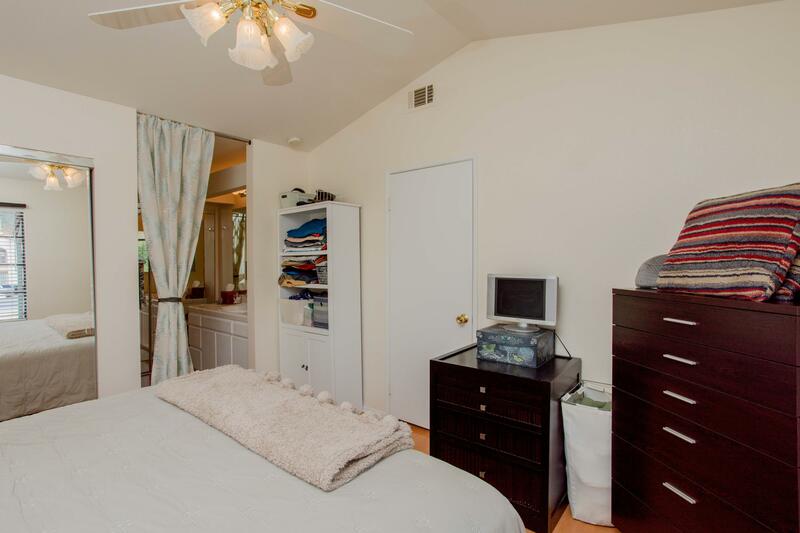 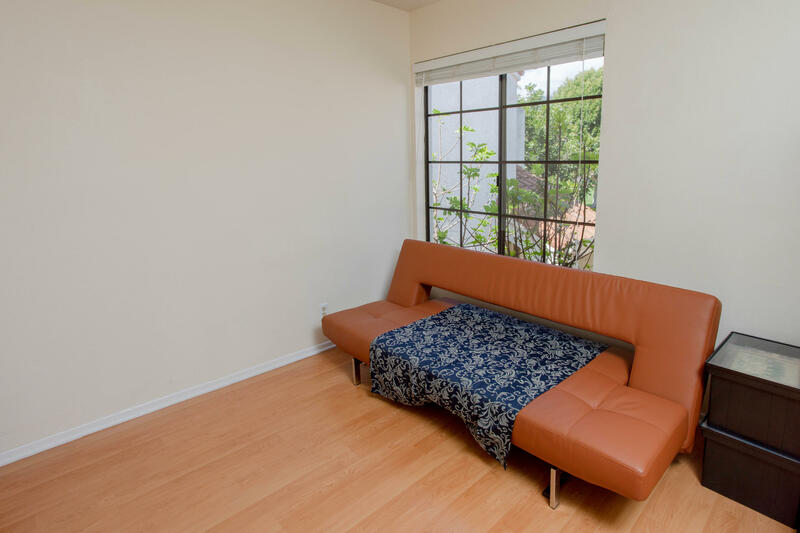 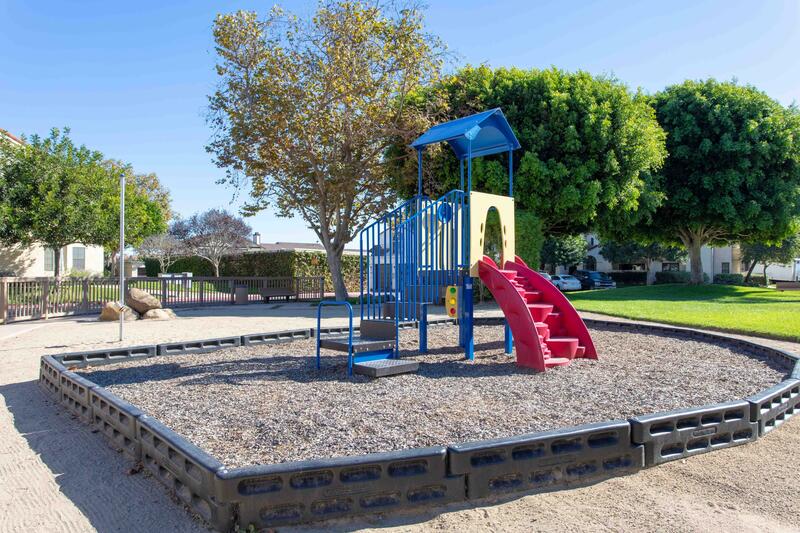 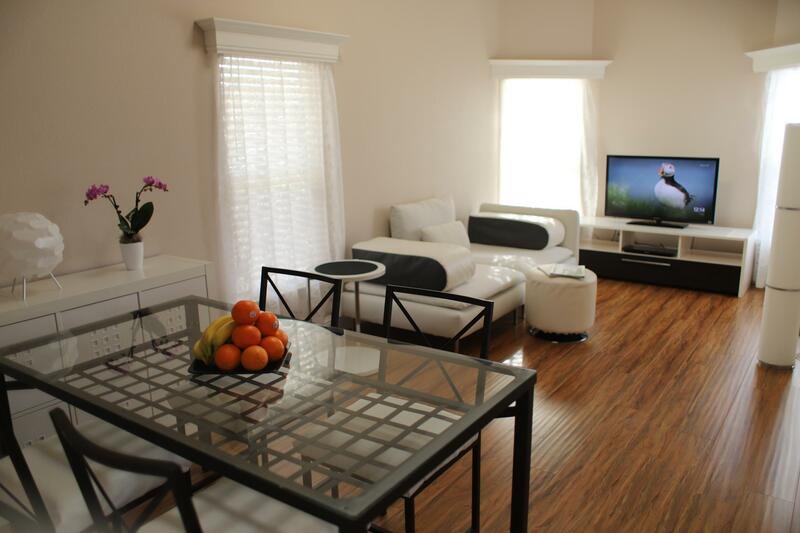 Offering privacy and quiet, it is well-located, with the common area amenities just steps away. 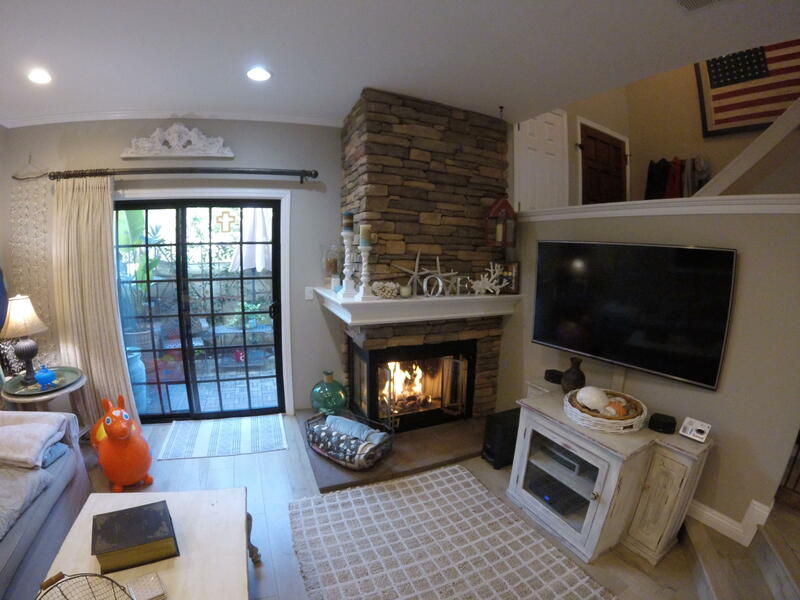 The living room is highlighted by cathedral ceilings, floor to ceiling windows, easy care wood laminate floors and a cozy fireplace. 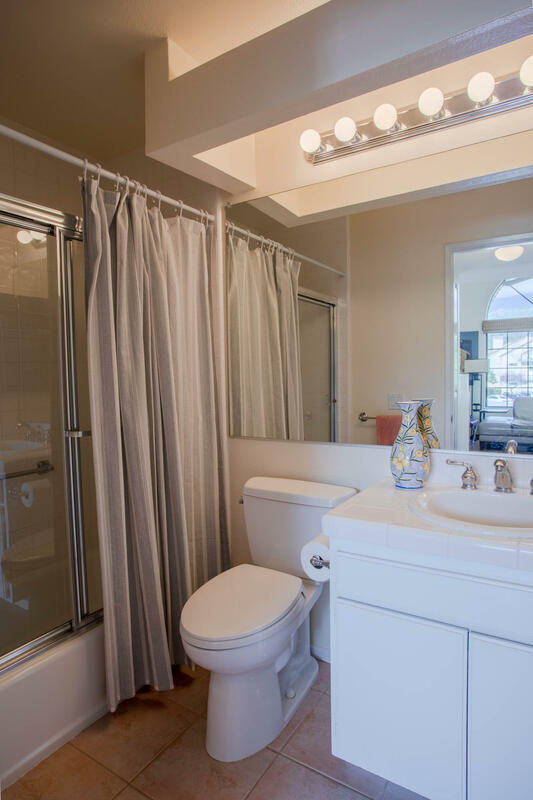 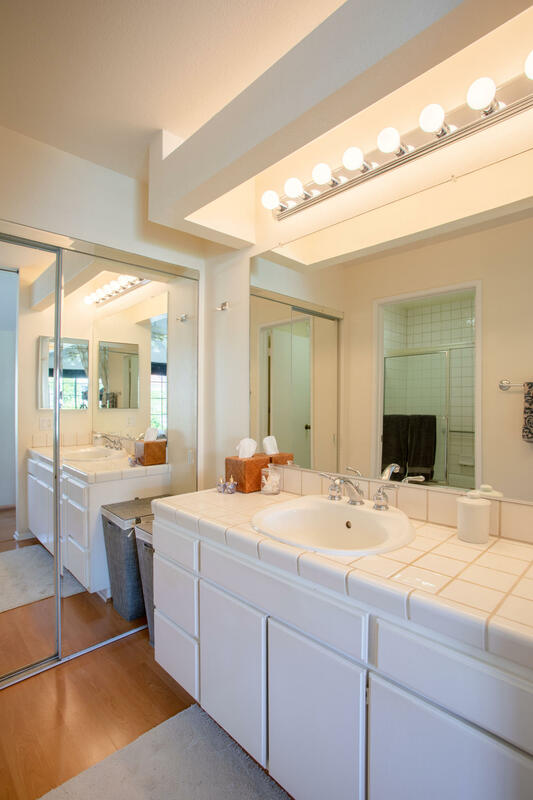 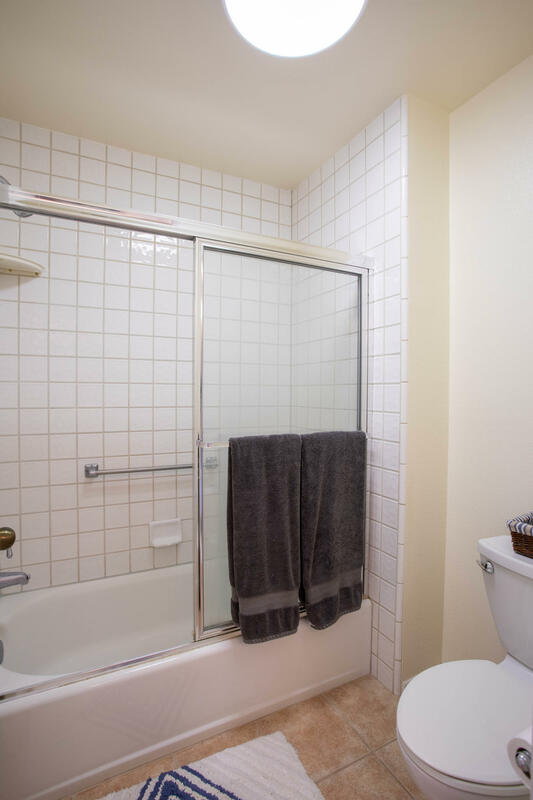 The two spacious bedrooms each have their own convenient bath. 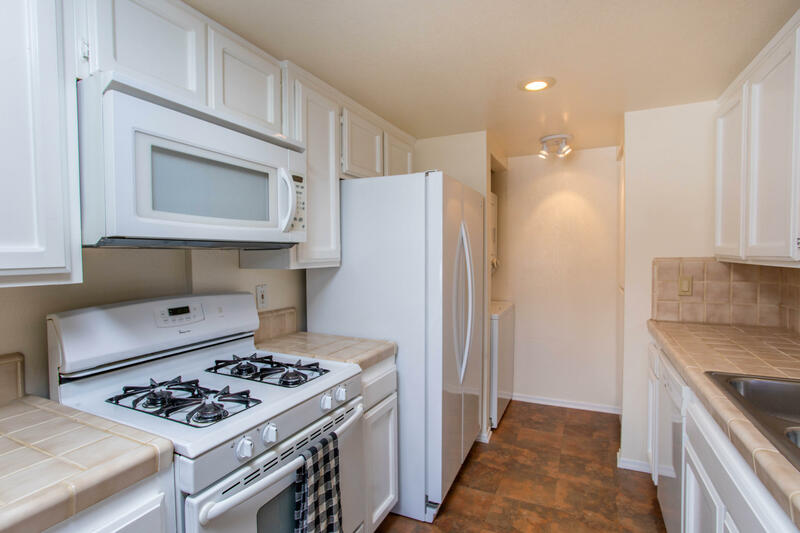 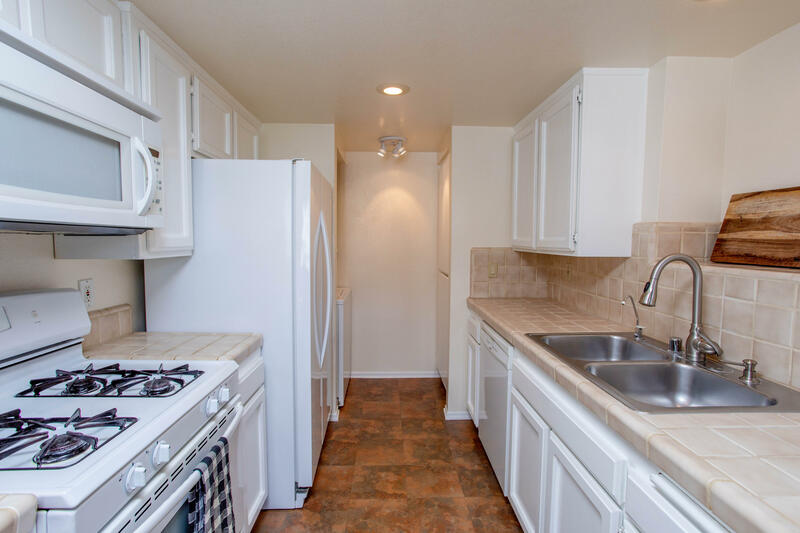 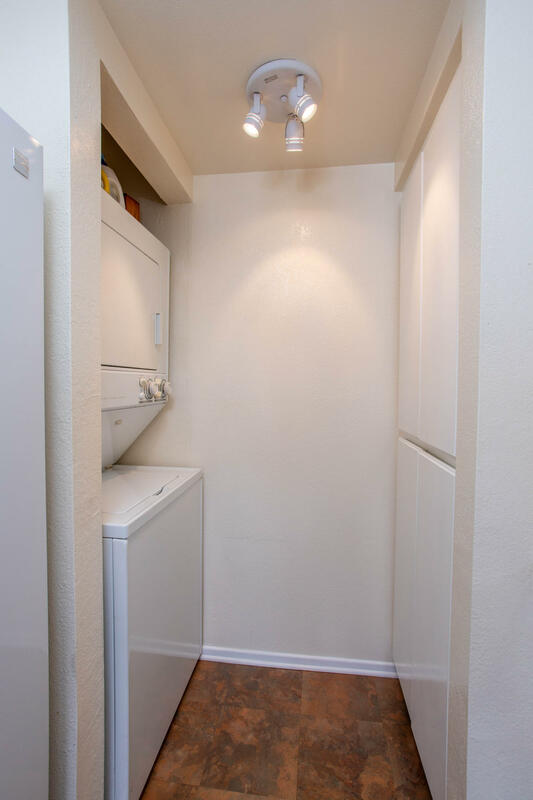 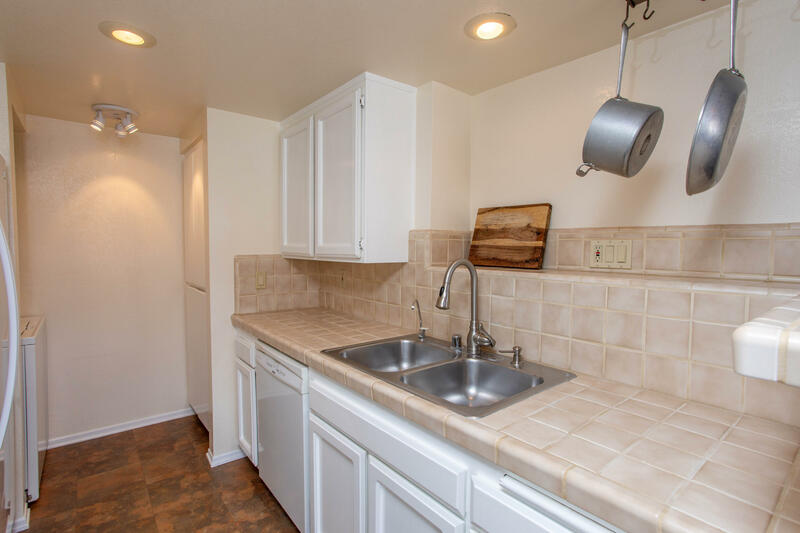 The kitchen features a pantry, updated appliances and tile countertops. 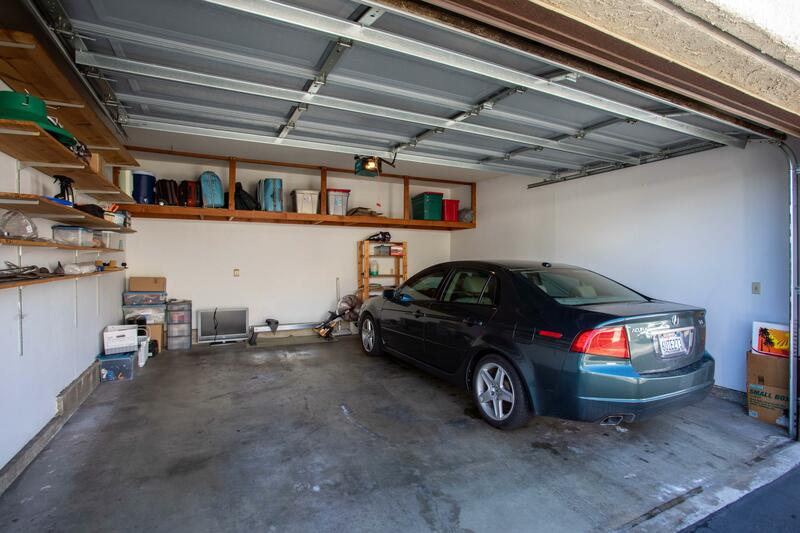 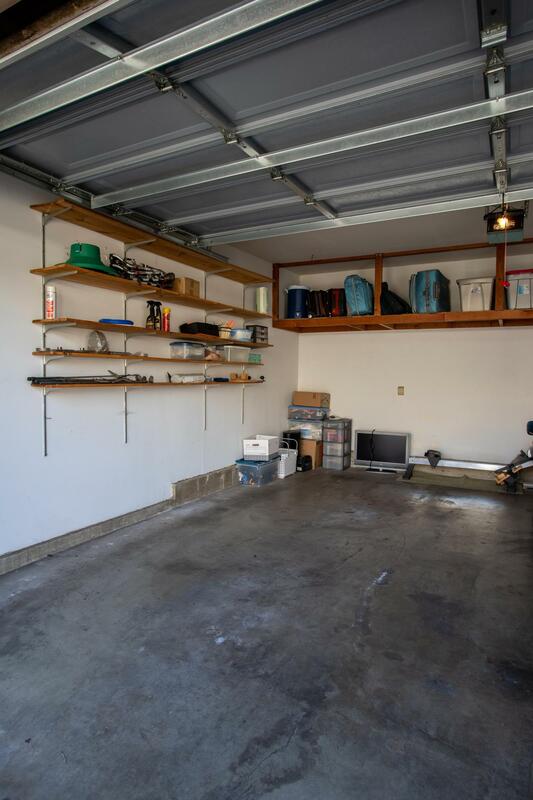 A full 2 car garage offers storage shelves and is conveniently located.